Blood transfusion is the process of transferring blood or blood products into one's circulation intravenously. Transfusions are used for various medical conditions to replace lost components of the blood. Early transfusions used whole blood, but modern medical practice commonly uses only components of the blood, such as red blood cells, white blood cells, plasma, clotting factors, and platelets. Red blood cells contain hemoglobin, and increase iron levels by improving the amount of oxygen found in the body. White blood cells are not commonly used during transfusion, but are part of the immune system, and fight infections. Plasma is the liquid part of the blood, which acts as a buffer, and contains proteins and important substances needed for the body’s overall health. Platelets are involved in blood clotting, preventing the body from bleeding. Before these components were known, doctors believed that blood was homogenous. Because of this, many patients died due to the transfer of incompatible blood. Historically, red blood cell transfusion was considered when the hemoglobin level fell below 100 g/L or hematocrit fell below 30%. Because each unit of blood given carries risks, a trigger level lower than that, at 70 to 80 g/L, is now usually used, as it has been shown to have better patient outcomes. The administration of a single unit of blood is the standard for hospitalized people who are not bleeding, with this treatment followed with re-assessment and consideration of symptoms and hemoglobin concentration. Patients with poor oxygen saturation may need more blood. The advisory caution to use blood transfusion only with more severe anemia is in part due to evidence that outcomes are worsened if larger amounts are given. One may consider transfusion for people with symptoms of cardiovascular disease such as chest pain or shortness of breath. In cases where patients have low levels of hemoglobin due to iron deficiency, but are cardiovascularly stable, parenteral iron is a preferred option based on both efficacy and safety. Other blood products are given where appropriate, e.g., to treat clotting deficiencies. Blood transfusions use as sources of blood either one's own (autologous transfusion), or someone else's (allogeneic or homologous transfusion). The latter is much more common than the former. Using another's blood must first start with donation of blood. Blood is most commonly donated as whole blood intravenously and collecting it with an anticoagulant. In developed countries, donations are usually anonymous to the recipient, but products in a blood bank are always individually traceable through the whole cycle of donation, testing, separation into components, storage, and administration to the recipient. This enables management and investigation of any suspected transfusion related disease transmission or transfusion reaction. In developing countries the donor is sometimes specifically recruited by or for the recipient, typically a family member, and the donation occurs immediately before the transfusion. A positive screen warrants an antibody panel/investigation to determine if it is clinically significant. An antibody panel consists of commercially prepared group O red cell suspensions from donors that have been phenotyped for antigens that correspond to commonly encountered and clinically significant alloantibodies. Donor cells may have homozygous (e.g. K+k+), heterozygous (K+k-) expression or no expression of various antigens (K−k−). The phenotypes of all the donor cells being tested are shown in a chart. The patient's serum is tested against the various donor cells. Based on the reactions of the patient's serum against the donor cells, a pattern will emerge to confirm the presence of one or more antibodies. Not all antibodies are clinically significant (i.e. cause transfusion reactions, HDN, etc.). Once the patient has developed a clinically significant antibody it is vital that the patient receive antigen-negative red blood cells to prevent future transfusion reactions. A direct antiglobulin test (Coombs test) is also performed as part of the antibody investigation. In urgent cases where crossmatching cannot be completed, and the risk of dropping hemoglobin outweighs the risk of transfusing uncrossmatched blood, O-negative blood is used, followed by crossmatch as soon as possible. O-negative is also used for children and women of childbearing age. It is preferable for the laboratory to obtain a pre-transfusion sample in these cases so a type and screen can be performed to determine the actual blood group of the patient and to check for alloantibodies. In the same way that the safety of pharmaceutical products is overseen by pharmacovigilance, the safety of blood and blood products is overseen by haemovigilance. This is defined by the World Health Organization (WHO) as a system "...to identify and prevent occurrence or recurrence of transfusion related unwanted events, to increase the safety, efficacy and efficiency of blood transfusion, covering all activities of the transfusion chain from donor to recipient." The system should include monitoring, identification, reporting, investigation and analysis of adverse events near-misses and reactions related to transfusion and manufacturing. In the UK this data is collected by an independent organisation called SHOT (Serious Hazards Of Transfusion). Acute hemolytic reactions are defined according to Serious Hazards of Transfusion (SHOT) as "fever and other symptoms/signs of haemolysis within 24 hours of transfusion; confirmed by one or more of the following: a fall of Hb, rise in lactate dehydrogenase (LDH), positive direct antiglobulin test (DAT), positive crossmatch"  This is due to destruction of donor red blood cells by preformed recipient antibodies. Most often this occurs due to clerical errors or improper ABO blood typing and crossmatching resulting in a mismatch in ABO blood type between the donor and the recipient. Symptoms include fever, chills, chest pain, back pain, hemorrhage, increased heart rate, shortness of breath, and rapid drop in blood pressure. When suspected, transfusion should be stopped immediately, and blood sent for tests to evaluate for presence of hemolysis. Treatment is supportive. Kidney injury may occur due to the effects of the hemolytic reaction (pigment nephropathy). The severity of the transfusion reaction is depended upon amount of donor's antigen transfused, nature of the donor's antigens, the nature and the amount of recipient antibodies. Delayed hemolytic reactions occur more than 24 hours after a transfusion. They usually occur within 28 days of a transfusion. They can either be due to: a low level of antibodies present prior to the start of the transfusion, which are not detectable on pre-transfusion testing; or development of a new antibody against an antigen in the transfused blood. Therefore, delayed haemolytic reaction does not manifest until after 24 hours when enough amount of antibodies are available to cause a reaction. The red blood cells are removed by macrophages from the blood circulation into liver and spleen to be destroyed, which leads to extravascular haemolysis. This process usually mediated by anti-Rh and anti-Kidd antibodies. However, this type of transfusion reaction is less severe when compared to acute haemolytic transfusion reaction. Febrile nonhemolytic reactions are, along with allergic transfusion reactions, the most common type of blood transfusion reaction and occur due to the release of inflammatory chemical signals released by white blood cells in stored donor blood or attack on donor's white blood cells by recipient's antibodies. This type of reaction occurs in about 7% of transfusions. Fever is generally short lived and is treated with antipyretics, and transfusions may be finished as long as an acute hemolytic reaction is excluded. This is a reason for the now-widespread use of leukoreduction – the filtration of donor white cells from red cell product units. Allergic transfusion reactions are caused by IgE anti-allergen antibodies. When antibodies are bound to its antigens, histamine is released from mast cells and basophils. Either IgE antibodies from the donor's or recipient's side can cause the allergic reaction. It is more common in patients who have allergic conditions such as hay fever. Patient may feel itchy or having hives but the symptoms are usually mild and can be controlled by stopping the transfusion and giving antihistamines. Anaphylactic reactions are rare life-threatening allergic conditions caused by IgA anti-plasma protein antibodies. For patients who have selective immunoglobulin A deficiency, the reaction is presumed to be caused by IgA antibodies in the donor's plasma. The patient may present with symptoms of fever, wheezing, coughing, shortness of breath, and circulatory shock. Urgent treatment with epinephrine is needed. Post-transfusion purpura is an extremely rare complication that occurs after blood product transfusion and is associated with the presence of antibodies in the patient's blood directed against both the donor's and recipient's platelets HPA (human platelet antigen). Recipients who lack this protein develop sensitization to this protein from prior transfusions or previous pregnancies, can develop thrombocytopenia, bleeding into the skin, and can display purplish discolouration of skin which is known as purpura. Intravenous immunoglobulin (IVIG) is treatment of choice. Transfusion-associated acute lung injury (TRALI) is a syndrome that is similar to Acute respiratory distress syndrome (ARDS), which develops during or within 6 hours of transfusion of a plasma-containing blood product. Fever, hypotension, shortness of breath, and tachycardia often occurs in this type of reaction. For a definitive diagnosis to be made, symptoms must occur within 6 hours of transfusion, hypoxemia must be present, there must be radiographic evidence of bilateral infiltrates and there must be no evidence of left atrial hypertension (fluid overload). It occurs in 15% of the transfused patient with mortality rate of 5 to 10%. Recipient risk factors includes: end-stage liver disease, sepsis, haematological malignancies, sepsis, and ventilated patients. Antibodies to human Neutrophil Antigen's (HNA) and Human Leukocyte Antigens (HLA) have been associated with this type of transfusion reaction. Donor's antibodies interacting with antigen positive recipient tissue result in release of inflammatory cytokines, resulting in pulmonary capillary leakage. The treatment is supportive. Transfusion associated circulatory overload (TACO) is a common, yet underdiagnosed, reaction to blood product transfusion consisting of the new onset or exacerbation of three of the following within 6 hours of cessation of transfusion: acute respiratory distress, elevated brain natriuretic peptide (BNP), elevated central venous pressure (CVP), evidence of left heart failure, evidence of positive fluid balance, and/or radiographic evidence of pulmonary edema. Transfusion-associated graft versus host disease frequently occurs in immunodeficient patients where recipient's body failed to eliminate donor's T cells. Instead, donor's T cells attack the recipient's cells. It occurs one week after transfusion. Fever, rash, diarrhoea are often associated with this type of transfusion reaction. Mortality rate is high, with 89.7% of the patients died after 24 days. Immunosuppressive treatment is the most common way of treatment. Irradiation and leukoreduction of blood products is necessary for high risk patients for prevent T cells from attacking recipient cells. On rare occasions, blood products are contaminated with bacteria. This can result in a life-threatening infection known as transfusion-transmitted bacterial infection. The risk of severe bacterial infection is estimated, as of 2002[update], at about 1 in 50,000 platelet transfusions, and 1 in 500,000 red blood cell transfusions. Blood product contamination, while rare, is still more common than actual infection. The reason platelets are more often contaminated than other blood products is that they are stored at room temperature for short periods of time. Contamination is also more common with longer duration of storage, especially if that means more than 5 days. Sources of contaminants include the donor's blood, donor's skin, phlebotomist's skin, and containers. Contaminating organisms vary greatly, and include skin flora, gut flora, and environmental organisms. There are many strategies in place at blood donation centers and laboratories to reduce the risk of contamination. A definite diagnosis of transfusion-transmitted bacterial infection includes the identification of a positive culture in the recipient (without an alternative diagnosis) as well as the identification of the same organism in the donor blood. Since the advent of HIV testing of donor blood in the mid/later 1980s, ex. 1985's ELISA, the transmission of HIV during transfusion has dropped dramatically. Prior testing of donor blood only included testing for antibodies to HIV. However, due to latent infection (the "window period" in which an individual is infectious, but has not had time to develop antibodies) many cases of HIV seropositive blood were missed. The development of a nucleic acid test for the HIV-1 RNA has dramatically lowered the rate of donor blood seropositivity to about 1 in 3 million units. As transmittance of HIV does not necessarily mean HIV infection, the latter could still occur at an even lower rate. A known relationship between intra-operative blood transfusion and cancer recurrence has been established in colorectal cancer. In lung cancer intra-operative blood transfusion has been associated with earlier recurrence of cancer, worse survival rates and poorer outcomes after lung resection. Also studies shown to us[who? ], failure of the immune system caused by blood transfusion can be categorized as one of the main factors leading to more than 10 different cancer types that are fully associated with blood transfusion and the innate and adaptive immune system. Allogeneic blood transfusion, through five major mechanisms including the lymphocyte-T set, myeloid-derived suppressor cells (MDSCs), tumor-associated macrophages (TAMs), natural killer cells (NKCs), and dendritic cells (DCs) can help the recipient's defense mechanisms. On the other hand, the role for each of the listed items includes activation of the antitumor CD8+ cytotoxic T lymphocytes (CD8+/CTL), temporal inactivation of Tregs, inactivation of the STAT3 signaling pathway, the use of bacteria to enhance the antitumor immune response and cellular Immunotherapy. According to Lower's account, "...towards the end of February 1665 [I] selected one dog of medium size, opened its jugular vein, and drew off blood, until its strength was nearly gone. Then, to make up for the great loss of this dog by the blood of a second, I introduced blood from the cervical artery of a fairly large mastiff, which had been fastened alongside the first, until this latter animal showed … it was overfilled … by the inflowing blood." After he "sewed up the jugular veins," the animal recovered "with no sign of discomfort or of displeasure." 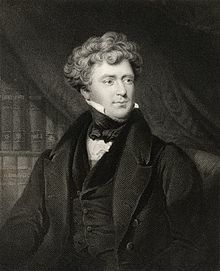 Six months later in London, Lower performed the first human transfusion of animal blood in Britain, where he "superintended the introduction in [a patient's] arm at various times of some ounces of sheep's blood at a meeting of the Royal Society, and without any inconvenience to him." The recipient was Arthur Coga, "the subject of a harmless form of insanity." Sheep's blood was used because of speculation about the value of blood exchange between species; it had been suggested that blood from a gentle lamb might quiet the tempestuous spirit of an agitated person and that the shy might be made outgoing by blood from more sociable creatures. Coga received 20 shillings (equivalent to £169 in 2018) to participate in the experiment. Work to emulate James Blundell continued in Edinburgh. In 1845 the Edinburgh Journal described the successful transfusion of blood to a woman with severe uterine bleeding. Subsequent transfusions were successful with patients of Professor James Young Simpson after whom the Simpson Memorial Maternity Pavilion in Edinburgh was named. The resulting dried plasma package came in two tin cans containing 400 mL bottles. One bottle contained enough distilled water to reconstitute the dried plasma contained within the other bottle. In about three minutes, the plasma would be ready to use and could stay fresh for around four hours. Dr. Charles R. Drew was appointed medical supervisor, and he was able to transform the test tube methods into the first successful technique for mass production. Carl Walter and W.P. Murphy Jr. introduced the plastic bag for blood collection in 1950. Replacing breakable glass bottles with durable plastic bags made from PVC allowed for the evolution of a collection system capable of safe and easy preparation of multiple blood components from a single unit of whole blood. Further extending the shelf life of stored blood up to 42 days was an anticoagulant preservative, CPDA-1, introduced in 1979, which increased the blood supply and facilitated resource-sharing among blood banks. As of 2006[update], there were about 15 million units of blood products transfused per year in the United States. By 2013, the number had declined to about 11 million units, due to the shift towards laparoscopic surgery and other surgical advances and studies that have shown that many transfusions were unnecessary. For example, the standard of care reduced that amount of blood transfused from 750 to 200 ml. 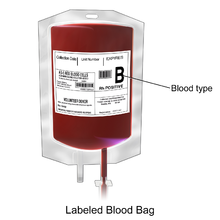 A massive transfusion protocol is used when significant blood loss is present such as in major trauma, when more than ten units of blood are needed. Packed red blood cells, fresh frozen plasma, and platelets are generally administered. Typically higher ratios of fresh frozen plasma and platelets are given relative to packed red blood cells. Jehovah's Witnesses object to blood transfusions due to their belief that blood is sacred. Minor blood transfusions are used by a minority of nyaope drug addicts in South Africa to economically share the high the drug induces in a practice colloquially known as Bluetoothing, named after the wireless technology of the same name. ^ Adams RC, Lundy JS (1942). "Anesthesia in cases of poor surgical risk. Some suggestions for decreasing risk". Surg Gynecol Obstet. 74: 1011–1019. ^ a b c Carson JL, Grossman BJ, Kleinman S, Tinmouth AT, Marques MB, Fung MK, Holcomb JB, Illoh O, Kaplan LJ, Katz LM, Rao SV, Roback JD, Shander A, Tobian AA, Weinstein R, Swinton M, Djulbegovic B (Mar 26, 2012). Clinical Transfusion Medicine Committee of the, AABB. "Red Blood Cell Transfusion: A Clinical Practice Guideline From the AABB". Annals of Internal Medicine. 157 (1): 49–58. doi:10.7326/0003-4819-157-1-201206190-00429. PMID 22751760. ^ Carson, Jeffrey L.; Stanworth, Simon J.; Roubinian, Nareg; Fergusson, Dean A.; Triulzi, Darrell; Doree, Carolyn; Hebert, Paul C. (2016-10-12). "Transfusion thresholds and other strategies for guiding allogeneic red blood cell transfusion". The Cochrane Database of Systematic Reviews. 10: CD002042. doi:10.1002/14651858.CD002042.pub4. ISSN 1469-493X. PMC 4171966. PMID 27731885. ^ Villanueva, C; Colomo, A; Bosch, A; Concepción, M; Hernandez-Gea, V; Aracil, C; Graupera, I; Poca, M; Alvarez-Urturi, C; Gordillo, J; Guarner-Argente, C; Santaló, M; Muñiz, E; Guarner, C (2013). "Transfusion strategies for acute upper gastrointestinal bleeding". The New England Journal of Medicine. 368 (1): 11–21. doi:10.1056/NEJMoa1211801. PMID 23281973. ^ Gasche, C; Berstad, A; Befrits, R; Beglinger, C; Dignass, A; Erichsen, K; Gomollon, F; Hjortswang, H; Koutroubakis, I; Kulnigg, S; Oldenburg, B; Rampton, D; Schroeder, O; Stein, J; Travis, S; Van Assche, G (2007). "Guidelines on the diagnosis and management of iron deficiency and anemia in inflammatory bowel diseases" (PDF). Inflammatory Bowel Diseases. 13 (12): 1545–53. doi:10.1002/ibd.20285. PMID 17985376. ^ "Blood safety and availability". World Health Organization. June 2014. Retrieved 22 August 2014. ^ Screening donated blood for transfusion-transmissible infections: recommendations (PDF). World Health Organization. 2009. ISBN 978 92 4 154788 8. ^ a b c "Blood safety and availability Fact sheet 279". World Health Organization. Retrieved 21 January 2016. ^ "Testing of donated blood". World Health Organization. Retrieved 21 January 2016. ^ "Bacterial Detection Testing by Blood and Blood Collection Establishments and Transfusion Services to Enhance the Safety and Availability of Platelets for Transfusion". FDA U.S. Food and Drug Administration. Retrieved 21 January 2016. ^ Benjamin, Richard J.; McDonald, Carl P.; ISBT Transfusion Transmitted Infectious Disease Bacterial Workgroup (2014-04-01). "The international experience of bacterial screen testing of platelet components with an automated microbial detection system: a need for consensus testing and reporting guidelines". Transfusion Medicine Reviews. 28 (2): 61–71. doi:10.1016/j.tmrv.2014.01.001. ISSN 1532-9496. PMID 24636779. ^ Ziemann, Malte; Hennig, Holger (2014-02-01). "Prevention of Transfusion-Transmitted Cytomegalovirus Infections: Which is the Optimal Strategy?". 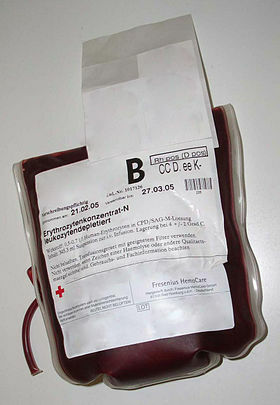 Transfusion Medicine and Hemotherapy: Offizielles Organ der Deutschen Gesellschaft Fur̈ Transfusionsmedizin und Immunham̈atologie. 41 (1): 40–44. doi:10.1159/000357102. ISSN 1660-3796. PMC 3949610. PMID 24659946. ^ a b c Bassuni, Wafaa Y.; Blajchman, Morris A.; Al-Moshary, May A. (2008). "Why implement universal leukoreduction?". Hematology/Oncology and Stem Cell Therapy. 1 (2): 106–123. doi:10.1016/s1658-3876(08)50042-2. ^ Hardwick, CC; Herivel, TR; Hernandez, SC; Ruane, PH; Goodrich, RP (2004). "Separation, Identification and Quantification of Riboflavin and Its Photoproducts in Blood Products Using High-Performance Liquid Chromatography With Fluorescence Detection: A Method to Support Pathogen Reduction Technology". Photochemistry and Photobiology. 80 (3): 609–615. doi:10.1562/0031-8655(2004)080<0609:TNSIAQ>2.0.CO;2. ISSN 0031-8655. PMID 15382964. ^ Mirasol Clinical Evaluation Study Group; Folléa, G.; Bardiaux, L.; Boiron, J.-M.; Lafeuillade, B.; Debost, M.; Lioure, B.; Harousseau, J.-L.; Tabrizi, R.; Cahn, J.-Y. ; Michallet; Ambruso, D.; Schots, R.; Tissot, J.-D.; Sensebé, L.; Kondo, T.; McCullough, J.; Rebulla, Paolo; Escolar, Gines; Mintz, P.; Heddle; Goodrich, R.P. ; Bruhwyler, J.; Le, C.; Cook, R.J.; Stouch, B. (2010). "A randomized controlled clinical trial evaluating the performance and safety of platelets treated with MIRASOL pathogen reduction technology". Transfusion. 50 (11): 2362–75. doi:10.1111/j.1537-2995.2010.02694.x. PMID 20492615. ^ Goodrich, RP; Edrich, RA; Li, J; Seghatchian, J (2006). "The Mirasol PRT system for pathogen reduction of platelets and plasma: An overview of current status and future trends". Transfusion and Apheresis Science. 35 (1): 5–17. doi:10.1016/j.transci.2006.01.007. PMID 16935562. ^ Fast, LD; Dileone, G; Cardarelli, G; Li, J; Goodrich, R (2006). "Mirasol PRT Treatment of Donor White Blood Cells Prevents the Development of Xenogeneic Graft-Versus-Host Disease in Rag2-/-γc-/- Double Knockout Mice". Transfusion. 46 (9): 1553–1560. doi:10.1111/j.1537-2995.2006.00939.x. PMID 16965583. ^ Fast, LD; Dileone, G; Marschner, S (2011). "Inactivation of human white blood cells in platelet products after pathogen reduction technology treatment in comparison to gamma irradiation". Transfusion. 51 (7): 1397–404. doi:10.1111/j.1537-2995.2010.02984.x. PMID 21155832. ^ Reddy, Heather L.; Dayan, Anthony D.; Cavagnaro, Joy; Gad, Shayne; Li, Junzhi; Goodrich, Raymond P. (2008). "Toxicity Testing of a Novel Riboflavin-Based Technology for Pathogen Reduction and White Blood Cell Inactivation". Transfusion Medicine Reviews. 22 (2): 133–53. doi:10.1016/j.tmrv.2007.12.003. PMID 18353253. ^ Blood Processing. University of Utah. Available at: http://library.med.utah.edu/WebPath/TUTORIAL/BLDBANK/BBPROC.html. Accessed on: December 15, 2006. ^ Harmening, D. (1999). Modern Blood Banking and Transfusion Practices (4th ed.). Philadelphia: F. A. Davis. ISBN 978-0-8036-0419-3. ^ "WHO | Haemovigilance". Who.int. 2013-06-25. Retrieved 2013-12-11. ^ "SHOT Terms of Reference". Shotuk.org. Retrieved 22 August 2014. ^ Wang SS. What's the Shelf Life of Blood? Focus on Whether Older Donations Impair Recovery of Transfusion Recipients. The Wall Street Journal. 2009 Dec. 1. ^ Bolton-Maggs, PHB; Poles, D; et al. (Serious Hazards of Transfusion (SHOT) Steering Group) (2015). The 2014 Annual SHOT Report (2015) (PDF). SHOT. ISBN 978-0-9558648-7-2. Archived from the original (PDF) on 2016-01-27. Retrieved 2016-01-21. ^ a b c d e f g h i Laura, Dean (2005). Blood Groups and Red Cell Antigens. Bethesda, United States: National Center for Biotechnology Information. Retrieved 4 October 2017. ^ "The 2011 National Blood Collection and Utilization Survey Report" (PDF). Department of Health and Human Services. Retrieved 21 January 2016. ^ Murphy, M (2013). "Post-transfusion purpura". In Murphy, M; Pamphilon, D; Heddle, N (eds.). Practical Transfusion Medicine (4th ed.). Wiley-Blackwell. pp. 127–30. ^ a b "NHSN | CDC". www.cdc.gov. 2017-12-29. Retrieved 2018-09-18. ^ Kim, Jeongmin; Na, Sungwon (30 March 2015). "Transfusion-related acute lung injury; clinical perspectives". Korean Journal of Anaesthesiology. 68 (2): 101–105. doi:10.4097/kjae.2015.68.2.101. PMC 4384395. PMID 25844126. ^ Kopolovic, Ilana; Tsubota, Hideki (2015). "A systematic review of transfusion-associated graft-versus-host disease". Blood. 126 (3): 406–414. doi:10.1182/blood-2015-01-620872. PMID 25931584. ^ Rohde, Jeffrey M.; Dimcheff, Derek E.; Blumberg, Neil; Saint, Sanjay; Langa, Kenneth M.; Kuhn, Latoya; Hickner, Andrew; Rogers, Mary A. M. (2 April 2014). "Health Care–Associated Infection After Red Blood Cell Transfusion". JAMA. 311 (13): 1317–26. doi:10.1001/jama.2014.2726. PMC 4289152. PMID 24691607. ^ Blajchman M (2002). "Incidence and significance of the bacterial contamination of blood components". Dev Biol (Basel). 108 (2): 59–67. PMID 12220143. ^ Zubair, AC (2010). "Clinical impact of blood storage lesions". American Journal of Hematology. 85 (2): 117–22. doi:10.1002/ajh.21599. PMID 20052749. ^ Heaton, A; Keegan, T; Holme, S (1989). "In vivo regeneration of red cell 2,3-diphosphoglycerate following transfusion of DPG-depleted AS-1, AS-3 and CPDA-1 red cells". British Journal of Haematology. 71 (1): 131–6. doi:10.1111/j.1365-2141.1989.tb06286.x. PMID 2492818. ^ Frank, SM; Abazyan, B; Ono, M; Hogue, CW; Cohen, DB; Berkowitz, DE; Ness, PM; Barodka, VM (2013). "Decreased erythrocyte deformability after transfusion and the effects of erythrocyte storage duration". Anesthesia and Analgesia. 116 (5): 975–81. doi:10.1213/ANE.0b013e31828843e6. PMC 3744176. PMID 23449853. ^ Barshtein G, Gural A, Manny N, Zelig O, Yedgar S, Arbell D (June 2014). "Storage-induced damage to red blood cell mechanical properties can be only partially reversed by rejuvenation". Transfus Med Hemother. 41 (3): 197–204. doi:10.1159/000357986. PMC 4086768. PMID 25053933. ^ Bakalar, Nicholas (2013-03-11). "The Shelf Life of Donor Blood". The New York Times. ^ Wang, Shirley S. (2009-12-01). "What's the Shelf Life of Blood?". The Wall Street Journal. ^ Aubron, Cécile; Nichol, Alistair; Cooper, D Jamie; Bellomo, Rinaldo (2013). "Age of red blood cells and transfusion in critically ill patients". Annals of Intensive Care. 3 (1): 2. doi:10.1186/2110-5820-3-2. PMC 3575378. PMID 23316800. ^ Hod, EA; Zhang, N; Sokol, SA; Wojczyk, BS; Francis, RO; Ansaldi, D; Francis, KP; Della-Latta, P; Whittier, S; Sheth, S; Hendrickson, JE; Zimring, JC; Brittenham, GM; Spitalnik, SL (2010). "Transfusion of red blood cells after prolonged storage produces harmful effects that are mediated by iron and inflammation". Blood. 115 (21): 4284–92. doi:10.1182/blood-2009-10-245001. PMC 2879099. PMID 20299509. ^ Hess, JR; Biomedical Excellence for Safer Transfusion (BEST) Collaborative (2012). "Scientific problems in the regulation of red blood cell products". Transfusion. 52 (8): 1827–35. doi:10.1111/j.1537-2995.2011.03511.x. PMID 22229278. ^ Pape, A; Stein, P; Horn, O; Habler, O (2009). "Clinical evidence of blood transfusion effectiveness". Blood Transfusion. 7 (4): 250–258. doi:10.2450/2008.0072-08. PMC 2782802. PMID 20011636. ^ Burns, JM; Yang, X; Forouzan, O; Sosa, JM; Shevkoplyas, SS (2012). "Artificial microvascular network: A new tool for measuring rheologic properties of stored red blood cells". Transfusion. 52 (5): 1010–23. doi:10.1111/j.1537-2995.2011.03418.x. PMID 22043858. ^ Raval, JS; Waters, JH; Seltsam, A; Scharberg, EA; Richter, E; Daly, AR; Kameneva, MV; Yazer, MH (2010). "The use of the mechanical fragility test in evaluating sublethal RBC injury during storage". Vox Sanguinis. 99 (4): 325–31. doi:10.1111/j.1423-0410.2010.01365.x. PMID 20673245. ^ Shander, A; Hofmann, A; Gombotz, H; Theusinger, OM; Spahn, DR (2007). "Estimating the cost of blood: Past, present, and future directions". Best Practice & Research. Clinical Anaesthesiology. 21 (2): 271–89. doi:10.1016/j.bpa.2007.01.002. PMID 17650777. ^ "Easy does it—showing caution with RBC transfusions". College of American Pathologists. April 2009. Retrieved 22 August 2014. ^ Devine, DV; Serrano, K (2010). "The platelet storage lesion". Clinics in Laboratory Medicine. 30 (2): 475–87. doi:10.1016/j.cll.2010.02.002. PMID 20513565. ^ Cata, JP; Wang, H; Gottumukkala, V; Reuben, J; Sessler, DI (May 2013). "Inflammatory response, immunosuppression, and cancer recurrence after perioperative blood transfusions". British Journal of Anaesthesia. 110 (5): 690–701. doi:10.1093/bja/aet068. PMC 3630286. PMID 23599512. ^ Wang, T; Luo, L; Huang, H; Yu, J; Pan, C; Cai, X; Hu, B; Yin, X (May 2014). "Perioperative blood transfusion is associated with worse clinical outcomes in resected lung cancer". The Annals of Thoracic Surgery. 97 (5): 1827–37. doi:10.1016/j.athoracsur.2013.12.044. PMID 24674755. ^ Churchhouse, AM; Mathews, TJ; McBride, OM; Dunning, J (Jan 2012). "Does blood transfusion increase the chance of recurrence in patients undergoing surgery for lung cancer?". Interactive Cardiovascular and Thoracic Surgery. 14 (1): 85–90. doi:10.1093/icvts/ivr025. PMC 3420304. PMID 22108935. ^ Kormi, Seyed Mohammad Amin; Seghatchian, Jerard (May 2017). "Taming the Immune System Through Transfusion in Oncology Patients". Transfusion and Apheresis Science. 56 (3): 310–316. doi:10.1016/j.transci.2017.05.017. PMID 28651910. Retrieved 26 May 2017. ^ Kormi, Seyed Mohammad Amin; Seghatchian, Jerard (May 2017). "Taming the Immune System Through Transfusion in Oncology Patients". Transfusion and Apheresis Science. 56 (3): 310–316. doi:10.1016/j.transci.2017.05.017. PMID 28651910. ^ Pfuntner A., Wier L.M., Stocks C. Most Frequent Procedures Performed in U.S. Hospitals, 2011. HCUP Statistical Brief #165. October 2013. Agency for Healthcare Research and Quality, Rockville, MD. .
^ Wald, Matthew L. (2014-08-24). "Blood Industry Shrinks as Transfusions Decline". New York Times Newspaper (Web Edition). New York Times. New York Times. Retrieved 2014-08-24. ^ Jacalyn Duffin, History of Medicine: A scandalously short introduction, University of Toronto Press, 1999, p. 171. ^ a b A. M. Rivera; K. W. S. Trauss; A.Van Zundert; E. Mortier (2005). "The history of peripheral intravenous catheters : How little plastic tubes revolutionized medicine" (PDF). Acta Anaesthesiologica Belgica. Archived from the original (PDF) on 2014-07-15. ^ "The First Blood Transfusion?". Heart-valve-surgery.com. 2009-01-03. Retrieved 2010-02-09. ^ "This Month in Anesthesia History (archived)". Archived from the original on July 20, 2011. Retrieved 2016-03-05. ^ a b "Red Gold . Innovators & Pioneers . Jean-Baptiste Denis". PBS. Retrieved 2010-02-09. ^ Klein, Harvey G; Anstee, David J, eds. (2005). Mollison's Blood Transfusion in Clinical Medicine. doi:10.1002/9780470986868. ISBN 978-0-470-98686-8"" p. 406. ^ Yale, Elizabeth (2015-04-22). 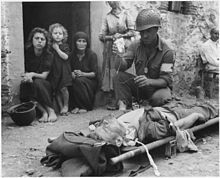 "First Blood Transfusion: A History". JSTOR. Retrieved 22 April 2015. ^ Felts, John H. (2000). "Richard Lower: Anatomist and Physiologist". Annals of Internal Medicine. 132 (5): 420–3. doi:10.7326/0003-4819-132-5-200003070-00023. PMID 10691601. ^ Ellis, H. Surgical Anniversaries: James Blundell, pioneer of blood transfusion British Journal of Hospital Medicine, August 2007, Vol 68, No 8. ^ Madbak, Firas (2008). Bridge Across the Abyss: Medical Myths and Misconceptions. Universal-Publishers. p. 22. ISBN 978-1-58112-987-8. ^ a b Masson, Alastair (1993). The History of the Blood Transfusion Service In Edinburgh. Edinburgh. ^ Nathoo, N; Lautzenheiser, FK; Barnett, GH (2009). 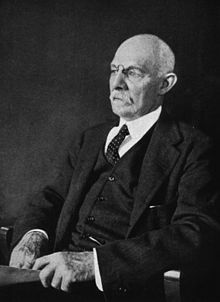 "The first direct human blood transfusion: The forgotten legacy of George W. Crile". Neurosurgery. 64 (3 Suppl): ons20–6, discussion ons26–7. doi:10.1227/01.NEU.0000334416.32584.97. PMID 19240569. ^ "Dr. William Lorenzo Moss". Archived from the original on 2014-02-28. Retrieved 2014-02-22. ^ Gordon, Murray B. (1940). "Effect of External Temperature on Sedimentation Rate of Red Blood Corpuscles". Journal of the American Medical Association. 114 (16). doi:10.1001/jama.1940.02810160078030. ^ a b Kim Pelis (2001). "Taking Credit: The Canadian Army Medical Corps and the British Conversion to Blood Transfusion in WWI". Journal of the History of Medicine and Allied Sciences. 56 (3): 238–277. doi:10.1093/jhmas/56.3.238. PMID 11552401. ^ "Red Gold: the Epic Story of Blood". PBS. ^ Susan Macqueen; Elizabeth Bruce; Faith Gibson (2012). The Great Ormond Street Hospital Manual of Children's Nursing Practices. John Wiley & Sons. p. 75. ISBN 978-1-118-27422-4. ^ "Percy Oliver". Red Gold: The Eipc Story of Blood. ^ Bernice Glatzer Rosenthal. New Myth, New World: From Nietzsche to Stalinism, Pennsylvania State University, 2002, ISBN 0-271-02533-6, pp. 161–162. ^ Christopher D. Hillyer (2007). Blood Banking and Transfusion Medicine: Basic Principles & Practice. Elsevier Health Sciences. ISBN 978-0-443-06981-9. ^ Kilduffe R, DeBakey M (1942). The blood bank and the technique and therapeutics of transfusion. St. Louis: The C.V.Mosby Company. pp. 196–197. ^ Starr, D (1998). Blood: An Epic History of Medicine and Commerce. Little, Brown and company. pp. 84–87. ISBN 0 316 91146 1. ^ Giangrande, Paul L. F. (2001). "THE HISTORY OF BLOOD TRANSFUSION". British Journal of Haematology. 110 (4): 758–67. doi:10.1046/j.1365-2141.2000.02139.x. PMID 11054057. ^ Boyan, CP; Howland, WS (1963). "Cardiac arrest and temperature of bank blood". JAMA: The Journal of the American Medical Association. 183: 58–60. doi:10.1001/jama.1963.63700010027020. PMID 14014662. ^ Rupreht, J; van Lieburg, MJ; Lee, JA; Erdman, W (1985). Anaesthesia: essays on its history. Springer-Verlag. pp. 99–101. ISBN 978-3-540-13255-4. ^ Sugita, Yoshiki; Simon, Ernest R. (1965). "The Mechanism of Action of Adenine in Red Cell Preservation*". Journal of Clinical Investigation. 44 (4): 629–642. doi:10.1172/JCI105176. ISSN 0021-9738. PMC 292538. PMID 14278179. ^ Simon, Ernest R.; Chapman, Robert G.; Finch, Clement A. (1962). "ADENINE IN RED CELL PRESERVATION*". Journal of Clinical Investigation. 41 (2): 351–359. doi:10.1172/JCI104489. ISSN 0021-9738. PMC 289233. PMID 14039291. ^ Laura Landro (2007-01-10). "New rules may shrink ranks of blood donors". Wall Street Journal. ^ WALD, MATTHEW L. (August 22, 2014). "Blood Industry Shrinks as Transfusions Decline". New York Times. Retrieved October 10, 2014. ^ "Red blood cell transfusions in newborn infants: Revised guidelines". Canadian Paediatric Society (CPS). Archived from the original on 2007-02-03. Retrieved 2007-02-02. ^ KM Radhakrishnan; Srikumar Chakravarthi; S Pushkala; J Jayaraju (August 2003). "Component therapy". Indian J Pediatr. 70 (8): 661–6. doi:10.1007/BF02724257. PMID 14510088. ^ a b Cherkas, David (Nov 2011). "Traumatic Hemorrhagic Shock: Advances In Fluid Management". Emergency Medicine Practice. 13 (11). Archived from the original on 2012-01-18. The Chief Medical Officer's National Blood Transfusion Committee (c. 2008). "The appropriate use of group O RhD negative red cells" (PDF). National Health Service. Retrieved 25 July 2014. ^ Hillyer, Christopher D.; Shaz, Beth H.; Zimring, James C.; Abshire, Thomas C. (2009-06-09). Transfusion Medicine and Hemostasis: Clinical and Laboratory Aspects. Elsevier. p. 279. ISBN 9780080922300. ^ Goddard, A. F.; James, M. W.; McIntyre, A. S.; Scott, B. B.; British Society of Gastroenterology (2011). "Guidelines for the management of iron deficiency anaemia". Gut. 60 (10): 1309–16. doi:10.1136/gut.2010.228874. PMC 1728199. PMID 21561874. ^ Shander, Aryeh; Fink, Arlene; Javidroozi, Mazyar; Erhard, Jochen; Farmer, Shannon L.; Corwin, Howard; Goodnough, Lawrence Tim; Hofmann, Axel; Isbister, James; Ozawa, Sherri; Spahn, Donat R. (2011). International Consensus Conference on Transfusion Outcomes Group. "Appropriateness of Allogeneic Red Blood Cell Transfusion: The International Consensus Conference on Transfusion Outcomes". Transfusion Medicine Reviews. 25 (3): 232–246.e53. doi:10.1016/j.tmrv.2011.02.001. PMID 21498040. ^ Tshipe, Lerato (1 February 2017). "'Bluetooth' drug craze sweeps townships | IOL". Retrieved 2017-02-02 – via Pretoria News. This page was last edited on 21 March 2019, at 04:13 (UTC).